Sean is a trial lawyer with experience representing corporations and individuals in business disputes, health care litigation, and complex tort claims. He also assists clients with legal issues arising from employment relationships. Sean finds solutions for his clients by pairing great attention to detail with a practical, common sense approach to litigation. 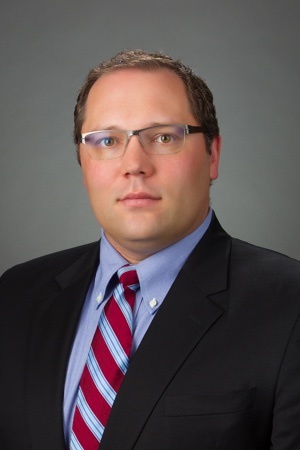 Sean joined Cornelius & Collins in 2015 after practicing law for several years with a boutique healthcare litigation firm in Nashville. Prior to entering private practice, Sean served as a judicial clerk. While clerking, he participated in more than two dozen jury trials. As a result, he has a sophisticated understanding of trial practice and the way juries respond to lawyers, clients, and the facts of individual cases. Outside of his legal practice Sean enjoys spending time on the water and attending sporting events. He lives just south of Nashville with his wife, and is active in his church. Doctor of Jurisprudence, Vanderbilt University Law School, 2011. Articles Editor for the Vanderbilt Journal of Entertainment and Technology Law. Bachelor of Science, University of Portland, 2003.